The video brief accompanying this article, produced by the UNU Media Studio’s Kaori Brand, introduces two entrepreneurs who employ both traditional knowledge and scientific advancement to support the biological diversity of the woodlands and mountains upon which their livelihoods depend. Chouichiro Oono keeps his father’s charcoal factory alive by managing a grove of Kunugi trees that are needed to produce traditional sumi charcoal for Japanese tea ceremonies. Forester Toru Hayami shows us that more than 240 species of plants are growing side-by-side with his cypress trees, helping to sustain the overall health of his forest and nearby river and ocean ecosystems. Their lives and businesses demonstrate that the practices of satoyama are financially viable. ‘Satoyama’ is a place where nature and people exist in harmony. The traditional Japanese satoyama landscape has been shaped by the people living and pursuing agricultural, forestry and fishing activities in it. The resulting mosaic-like land-use system often includes: growing rice in paddies and crops in fields; regular logging of woodlands to obtain firewood and make charcoal; and the gathering of animal feed, fertilizers and thatch from grasslands. Satoyama — derived from the Japanese words for village (sato) and mountain (yama) — and similar landscapes have sustained millions of people for thousands of years. Yet, over the last century and in particular the past 50 years, Japan — like most industrialised countries — has seen momentous changes through modernisation and urbanisation. These powerful forces have undermined and sometimes led to the abandonment of more traditional ecosystem management systems through which people could sustainably derive their food, water and shelter. However, the knowledge and ecological resilience existing in satoyama landscapes can help meet the 21st century challenges of biodiversity conservation, emissions reduction and energy and food security. In recognition of the potential of socio-ecological production systems in satoyama and similar landscapes to boost human well-being and preserve biodiversity, the Satoyama Initiative was launched in July of this year. This global effort is led by the Japanese Ministry of the Environment and the United Nations University Institute of Advanced Studies. The aim is to promote sustainable use of the natural environment through optimised management of land and natural resources. Key components of the Initiative will be the synthesising of wisdom on the sustainable use, reuse and recycling of natural resources; the integration of traditional ecological knowledge with modern science; and the creation of a new commons, i.e. introducing or stabilising cooperative management of land and natural resources. 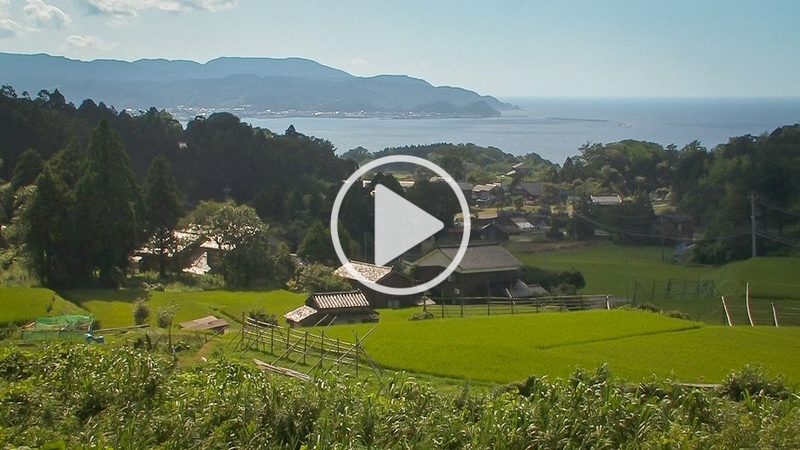 The Initiative also includes videos produced by the UNU Media Studio that provide an enhanced visual understanding of what satoyama is like. The one featured in this article, “Life in a vibrant satoyama forest”, depicts examples of sustainable forest management practices that help support and sustain biodiversity, including the planting of dozens of tree species side-by-side. The broad philosophies and ecosystem services provided within satoyama are not unique to Japan. Satoyama and similar landscapes have, through the ages, sustained people across the globe. That is why the Satoyama Initiative is also focused on sharing information from similar landscape management experiences from Asia, Oceania, Europe and Africa. Recently, the Asia Pacific Workshop on the Satoyama Initiative Concept was held in Penang, Malaysia, and drew together officials and experts from the governments of countries in Asia and the Pacific, international and academic organisations, research institutes and NGOs. The aim of the workshop was to review the management features of satoyama and similar landscapes across the Asia-Pacific region and discuss future plans of action. To date, visitors to the Satoyama portal site can also derive knowledge from case studies from Indonesia, the Philippines and Thailand. The sharing of information through the portal has only just begun and will develop to be more global in the coming years. One of the most important features of satoyama landscapes are their inherent conservation of biodiversity. Satoyama systems symbolise a pure integration of environmental, economic, cultural and social linkages — between ecosystem services and human well-being. Everything, from water sources, food crops and other plants, animals and humans, has a place in relation to everything else and therefore all are preserved with this philosophy in mind. In response to this unprecedented challenge, the UN has declared 2010 the International Year of Biodiversity. In addition, 2010 is the year of the 10th Conference of the Parties (COP10) to the Convention on Biological Diversity (CBD). COP10 is scheduled to take place in October 2010 in Nagoya, Aichi, Japan’s fourth largest city. The Satoyama Initiative can contribute to achieving the objectives of the CBD, especially in the areas of “Conservation of Biodiversity” and “Sustainable Use of Biodiversity”. The fortunate timing and location of COP10 will hopefully provide a good opportunity for the Satoyama Initiative to achieve maximum impact globally. For this to be a success, awareness of COP10 will hopefully match its equally important climate change equivalent, COP15, which has received saturated media coverage this month in Copenhagen. The claim that human civilisation is not going in the right direction should not be considered controversial. With so much anxiety over the complex problems of declining biodiversity, invasive species, climate change and increased pollution of our soil, water and forest ecosystems, finding answers might seem difficult. It is often said that in order to know where you are going, you have to know where you have been. Nowhere is this phrase truer than in relation to the way that humans relate to the natural environment. Reviving and understanding the ancient concept of satoyama can help societies re-establish sustainable interactions between humans and their environment. “It’s not too late at all. People can find ways for their community to become harmonious with nature,” says Washitani. Environmental and social degradation problems should concern everyone, not just local communities in traditional landscapes. National and local government agencies, and research and academic institutions can do more to facilitate discussions on landscape management systems. The Satoyama Initiative is a small but important step in the right direction. Greetings From Satoyama by Kazuhiko Takeuchi is licensed under a Creative Commons Attribution-NonCommercial-ShareAlike 3.0 Unported License. The Satoyama Initiative is truly exciting, both for the prospect of reinvigorating and preserving priceless cultural and social roots and structures, providing the possibility for resiliency and sustainability for Japan, but also for the example in gives (the Satoyama Initiative Concept) to other countries and cultures who would greatly benefit from following suit. I can’t help but draw a connection to a similar, but conflicted, recognition currently taking place in the Gamo Highlands of Ethiopia, as documented in a short film we recently created (http://www.globalonenessproject.org/videos/athousandsuns). I give my full and heartfelt support to the UNU and the Japanese Ministry of Education for taking this much-needed action. It is cause for real optimism and I’m looking forward to hearing much more about this in the future. Thank you for the link to the powerful video. I hope this Initiative will be received positively people in Japan and also all over the world. But it seems so silly to me that Japan with this extensive knowledge from Satoyama and such undermanaged forests is importing so much timber from around the world. This is having devastating and unnecessary impacts upon the forests in Russia, Indonesia and Malaysia for example. If the government had programs to manage the unmanaged forests sustainably, it could help rejuvenate declining rural areas by providing jobs for unemployed or underemployed youth and ensure that cultural practices continued. But that sounds too logical to fit into the capitalistic growth mentality and the cannabilistic global trade system. I was surprized and amazed at the idea of charcoal making, I didn’t know it existed. It is very facinating. Then they leave the stumps to grow trees again. Also the idea of someone making their own forest and having many more plants in it. The idea of Satoyama and biodiversity is a wonderful concept. I bet that Japan is importing so much timber in order to preserve its own natural landscape. Japan as a nation. likely realises the value in having large natural forests. When all our wood is gone Japan will be left forested and beautiful. Furthermore, the value of their forests will have increased exponentially.